Continuing our series of posts handling various logical reasoning question types, today we look at LR “Explain the Discrepancy” questions, also known as “Resolve The Paradox” questions. These questions are by no means the most frequent opponent you will engage with on the LR section — an average test contains just a few of them between the two LR sections. Still, that’s no reason to take your task in learning these lightly. Points are points as I always say. Here is how to solve these questions with hardly any effort. ETD questions juxtapose two facts that seem in conflict with one another, i.e. it doesn’t seem likely or possible even that both could be true at the same time. You the solver will be cast something in the role of a sleuth, and have to figure out how these two ideas could be true at the same time. Pretend that you are Sherlock and you have to explain something, again, to Watson, and you’ll have an easy time with these. Luckily, you don’t even have to come up with the brilliant explanation on your own. One of the answer choices will explain how these two seemingly difficult to reconcile facts could both be true, and you just have to pick it out of the bunch. The rest of the answer choices will not explain it. They might look like they help, but they are bogus explanations, the kind of thing that Watson would come up with. Which one of the following, if true, resolves the apparent discrepancy noted above? Which one of the following, if true, most helps to explain the surprising phenomenon described above? As usual, it’s pretty easy to spot the question type. Now let’s look at solving them. You won’t have much luck with these if you can’t even see what’s “weird” about the information. Generally, the first fact would make you expect something to be one way, but then you are told it’s the other way. Let’s take a look at sample ETD question, found on a sample test for the LSAT–India (which is by and large the same as our own test). You may want to try the problem, question 14, from section 1, on your own first. Animals generally avoid foods that are harmful to them and favor those that benefit them. Thus it is surprising that gypsy moth caterpillars prefer to eat leaves that contain high concentrations of certain naturally occurring toxins called alkaloids, even though caterpillars grow faster on alkaloid-free diets. Which one of the following, if true, most helps to resolve the apparent discrepancy? See how that works? One would expect Caterpillars to stay away from these alkaloids, especially since they inhibit growth, but they don’t. Instead, they prefer them. That’s a paradox. Now what? Once you’ve got a handle on it, it’s best to go straight to the answer choices. Don’t spend time, not more than a nanosecond anyways, thinking about a pre-phrase or anything like that. With these questions, it might actually distract you. There are an infinitely varied number of facts that might explain a given discrepancy, so if you get too specific, you might throw yourself of the path. You want to keep what Bunk on The Wire calls “soft eyes.” Be open to the possibilities. For this question, I would probably just think “Okay, there is likely some reason why the benefits of eating Alkaloids outweigh the harm.” Don’t get any more specific than that. Scan the answer choices, and pretend you are now the one explaining this to the unenlightened masses. If you found answer choice (D), “Alkaloids that have been eaten by caterpillars…” Then yes, you got it. The caterpillars must be better off eating these alkaloids than not because it might discourage wasp parasitism. Truthfully, these questions aren’t actually all that hard. The answer, after all, literally explains things for you. More often, they are just traps for the unwary. Take answer choice (C) for example: “Caterpillars whose growth is inhibited by the consumption of alkaloids are more vulnerable to attack by predators.” That actually widens the discrepancy. This is a classic “180” answer choice where they try to trick you into going completely the wrong way, knowing that its easy to get flipped around in your head. Stay confident in your answer choice, but verify that all the other ones are wrong and that the one you are choosing is right. It’s worth the extra time to avoid mistakes. That’s usually always the case, but these problems call for extra care since most of the difficulty comes from the wrong answers. Something interesting about the LSAT: they know in advance approximately what percentage of people are going to pick a certain wrong answer. There is usually one wrong answer that gets picked a lot and the rest less so. Be aware of that and you might have better luck spotting that one really tricky incorrect answer for what it is, a sham. One more thing about these questions: do not overlook an answer just because it has complex language and may be difficult to understand. Often the right answer will be obscured with needlessly complicated language. Make sure you understand precisely what each answer if saying before picking one. It’s good to practice these a bunch of them at a time so you can get a feel for the type of trap answers and practice the “soft eyes” approach. 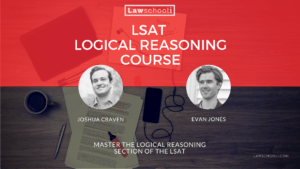 You can either go through practice tests yourself and find them or get a book that’s done the work for you such as the Powerscore Logical Reasoning Workbook (which will refer to these as “resolve the paradox” questions). 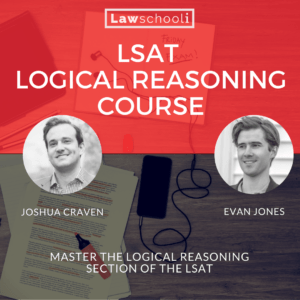 Well, this covers the essential strategy on these questions, you’ll find more fine-tuning techniques in your LSAT Trainer or your Logical Reasoning Bible, so review the relevant section if you are having trouble on these. Good luck! This is great. I am using the TV show Sherlock to award myself for a certain amount of LSAT studying, so it hits home. I also apply that role-playing to most questions, as it makes me more confident in my abilities and make me spend less time but still get accurate answers. Thank you! One problem I have with these is the issue of “scope.” For other question types, we have to be careful not to pull information outside of the argument or using modifiers like “all” and “never.” But here, we are allowed, even required, to pull outside information to close up the hole. Am I understanding that correctly? You aren’t bringing in the outside information, the correct answer choice is. It will “close up the hole” (explain the paradox). I don’t quite understand what you are trying to say when you mention modifers like “all” or “never.” Certainly you should never alter the modifers when working through the problems. Accidentally thinking that a conclusion that said “some x are y” instead said “all x are y” would be a huge mistake. I wish I could kick whoever first told prep students that “you can’t pull outside information on to the test.” While it’s true, it gets misunderstood all the time. What it means is that when you assess the validity of an argument, you are not worried about whether any of the premises or the conclusion is actually true (i.e. true in real life). What you focus on is whether the conclusion would be necessarily true if the premises were true. However, on resolve the paradox questions, you are not evaluating an argument. The stimulus is in fact not an argument, rather just a set of apparently contradictory facts. Does that make sense? If you need help with stuff like this I really suggest you join our Mastermind Study Group. We are available in there to answer questions about stuff like this anytime they come up. Check out the details here.